This has me intrigued. 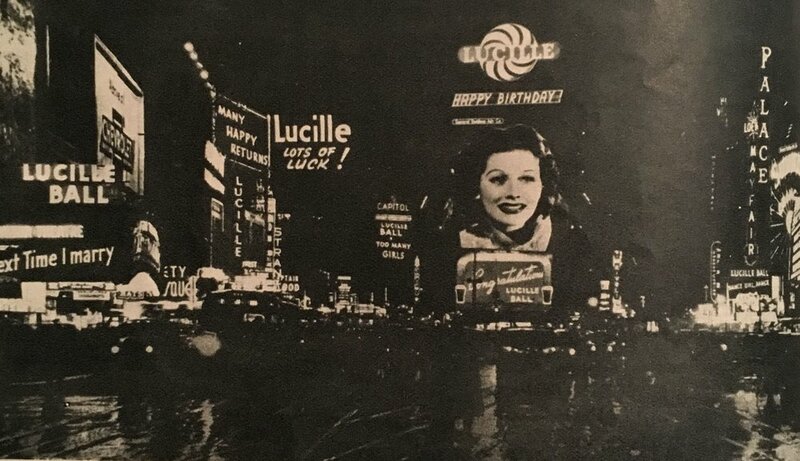 I found this picture in the January 1941 edition of Screen Guide. 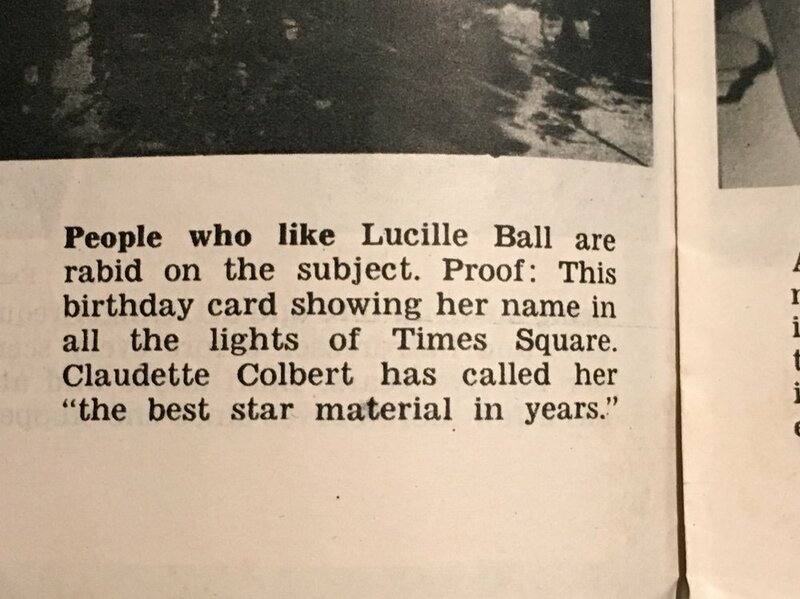 As you can see from this caption, this “birthday card” was run up by friends. Does anyone have the backstory? I assume from Next Time I Marry being on the Marquee it is 38-ish, but.. I don't know anything about this, but it's pretty awesome. And whoever thought this up was very creative. Groovy find! Too Many Girls and Dance, Girl, Dance are both up on marquees further in the background, so this would be a 1940 birthday card (although neither of those movies were released in time for her birthday). I wonder if the original is somewhere deep in the scrapbooks. Best star material in years!! this is sooo cute! Publicity back then was so charming! The only thing better would be a 15 (or 17?) year old Morton Goldapper standing below the marquee of "Next Time I Marry" smugly pointing at himself with one hand and the marquee with the other. Oh Neil, that's hilarious. And some how I can't imagine a young Morty. Have we ever seen any photos of him under 30?